I have met Veruca at Savoy hotel of Rome. It was a warm and sunny afternoon. 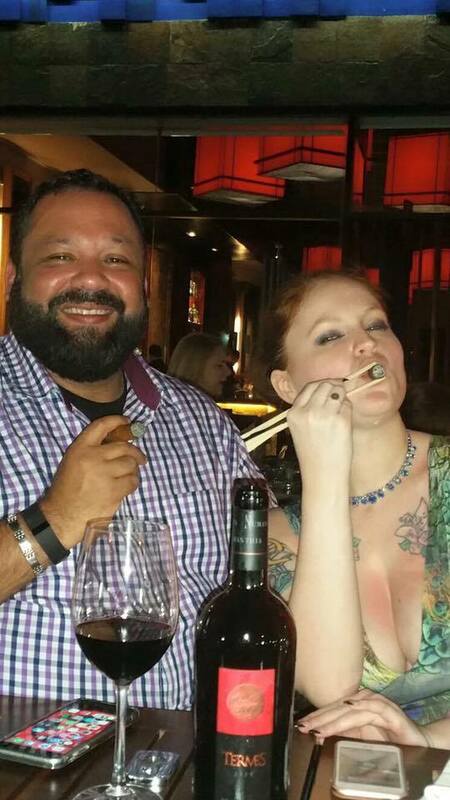 We smoked Reformed cigar. This cigar have leaves from Dominican Republic. 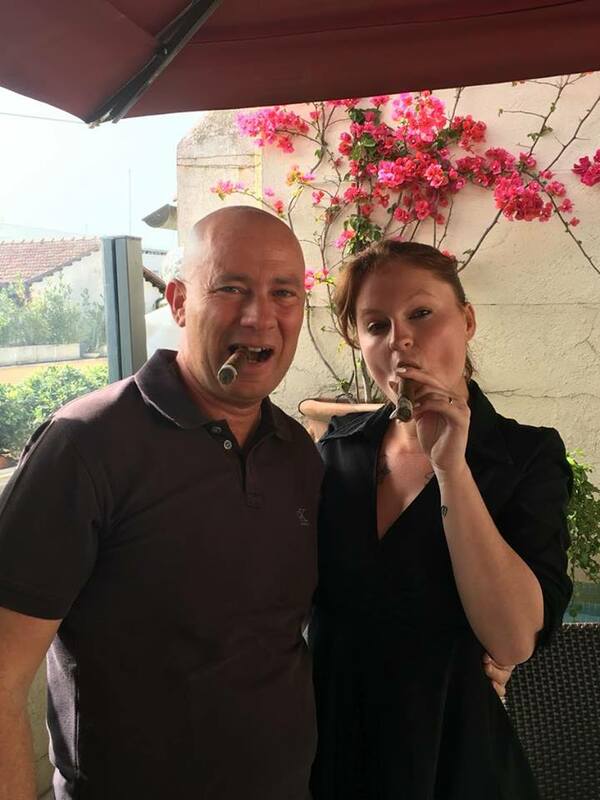 As you know, I usually don’t smoke no Cubans cigars, but I have to tell you it was a really good smoke. After lighting our cigars, the interview began. 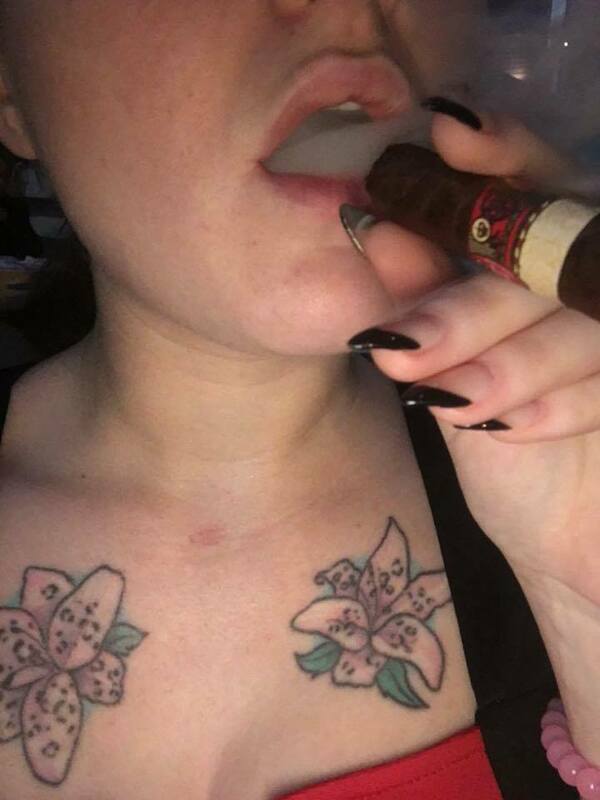 I started smoking cigars about a year ago once I got hired by the cigar Angels and Broadway cigar. I enjoy the petit corona but generally enjoy the corona size as that’s more readily available. But box press is my all time favorite. A cigar after breakfast while I’m finishing my coffee is the best way to start a day! I have a perfect cut cutter and a laser lighter that was given to me by Nish Patel himself! I smoke mainly at Broadway cigars smoking lounge and also my back porch over looking the lake. It’s so peaceful. about two a day. More if I’m working an event. Reformed cigar with a cappuccino of course. It was a real pleasure to meet you Veruca. Good ashes!!! One Response to "”Veruca Dulce„"